I'm so excited to bring to share with you Nebraska Land & Sky. It's a 60 minute program airing on Monday, August 11 at 7 pm CT on NET1. Other air times are: Monday, August 11 at 10 pm CT, and Wednesday, August 13 at 9 pm CT - both on NET1. I haven't gotten a chance to view the whole thing, but I've seen parts of it. It is so beautiful! Often times we take for granted the place where we live. There's so much to see in Nebraska. We have history here. 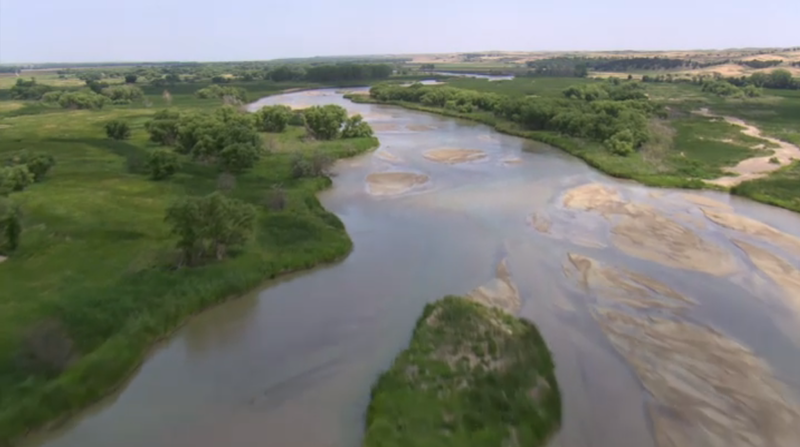 A British aerial photography team called Skyworks London joined the NET crew to photograph and video tape Nebraska land. 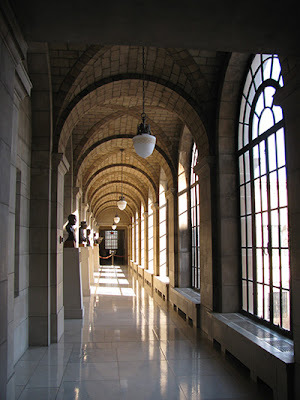 They captured key landmarks, hidden places, nature, history and more. Skyworks specializes in top-end aerial filming, creating footage and shows for broadcasters all over the world, including National Geographic, PBS and the BBC. 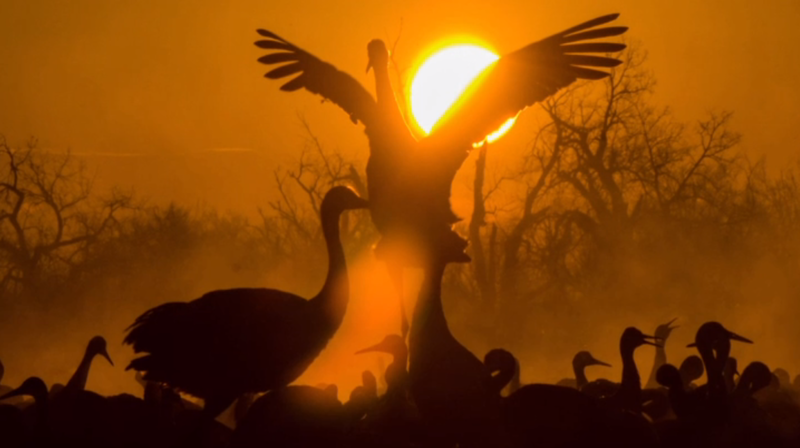 NEBRASKA Land & Sky, funded in part by the Nebraska Tourism Commission and Nebraska Game and Parks Commission, is a production of NET Television. 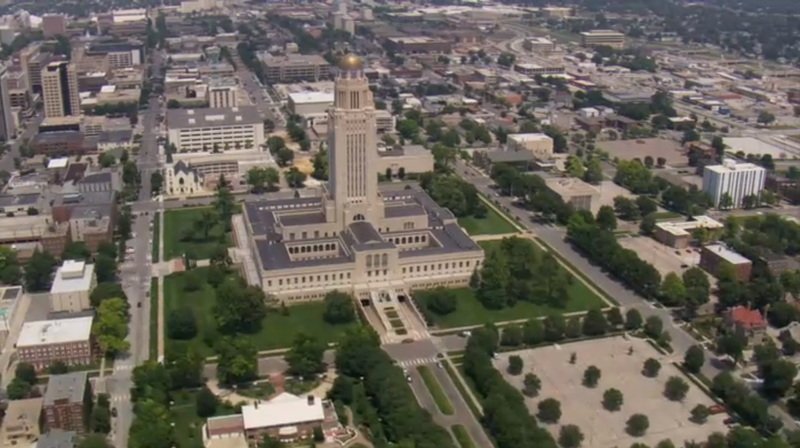 From high above the land and down on-the-ground, the documentary traces Nebraska’s history and legacy. Featured stops include Willa Cather’s childhood home in Red Cloud, Nebraska’s majestic and rugged landscapes around Wildcat Hills in the Panhandle and the vibrant cityscapes of eastern Nebraska. Homage is given to Nebraska’s ranchers and farmers, the state’s culture, recreation and exciting moments in Nebraska sports history. What I love best about the film is the aerial view seen throughout. You just can't capture things like that on your own. 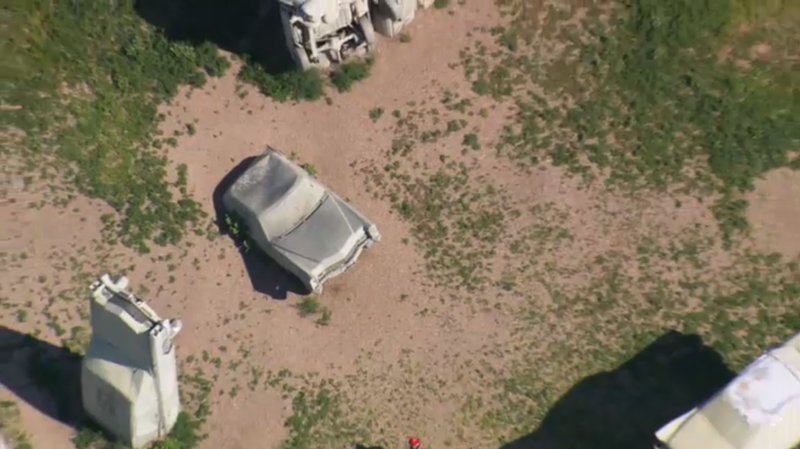 Take for instance: Carhenge is shown in the video. It's just briefly, but I saw it. I only got to see it from the ground. It's cool watching them fly over it in the video. A lot of people I talked to when I lived in Georgia thought Nebraska was nothing, but cows. While it's true we have cows here, there is a lot more to see. Locations in Omaha and Lincoln including the Henry Doorly Zoo, Joslyn Art Museum, Lauritzen Gardens, Boys Town, Memorial Stadium, Sheldon Art Gallery and the Nebraska State Capitol. 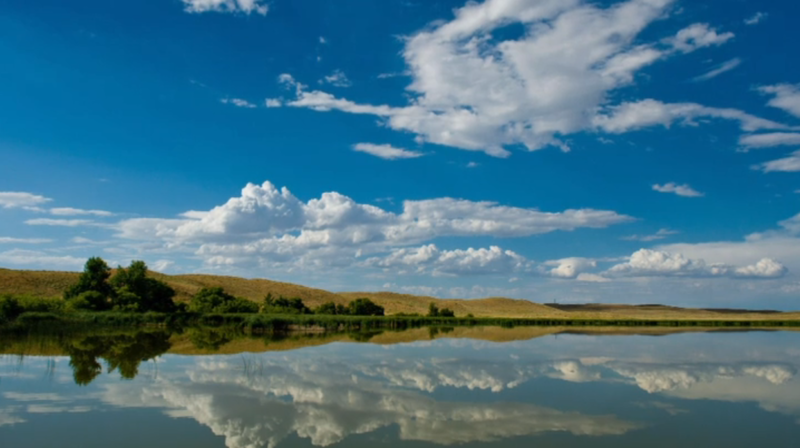 Watching just a part of NEBRASKA Land & Sky makes me want to travel. I love Western Nebraska so much! I know many of my readers do not live in Nebraska. Viewing the video is a little hard if you don't live here. I also know many of you have shown interest in where I live. I'm going to open this giveaway up to anyone in the US. I received NEBRASKA Land & Sky in exchange for writing this post. I only recommend products or services I use personally and believe will be good for my readers. Nebraska seems like it has so much beautiful scenery. I think someone is really going to love winning this dvd! I would like to see the Sandhill Cranes. I bet they are pretty in person. I have yet to see a large part of Western Nebraska, so on my to-do list is to see Chimney Rock and Fort Robinson. I really don't know WHY I want to see it so bad, but I just do!!! Red Cloud, Nebraska sounds like a great place to visit... but, since I have never been there. I would love to see it all. I want to go to the Niobrara area again with my family. 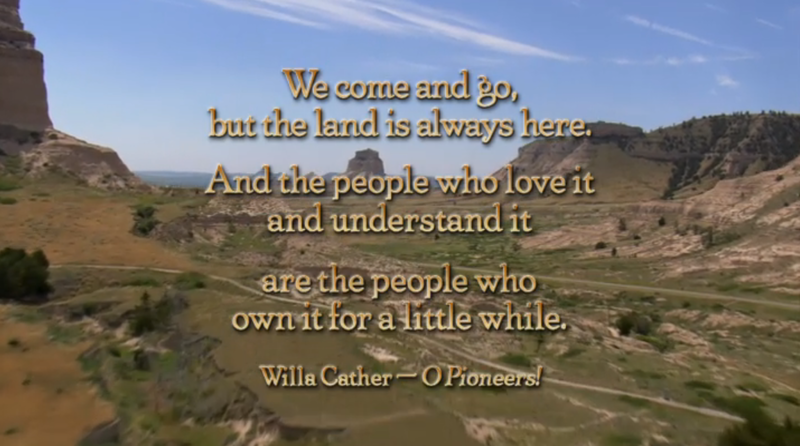 I have also never been to Willa Cather's home. That one might top my list at the moment!